Browne arrived as a true contender with a pretty one-sided win over a former titleholder. 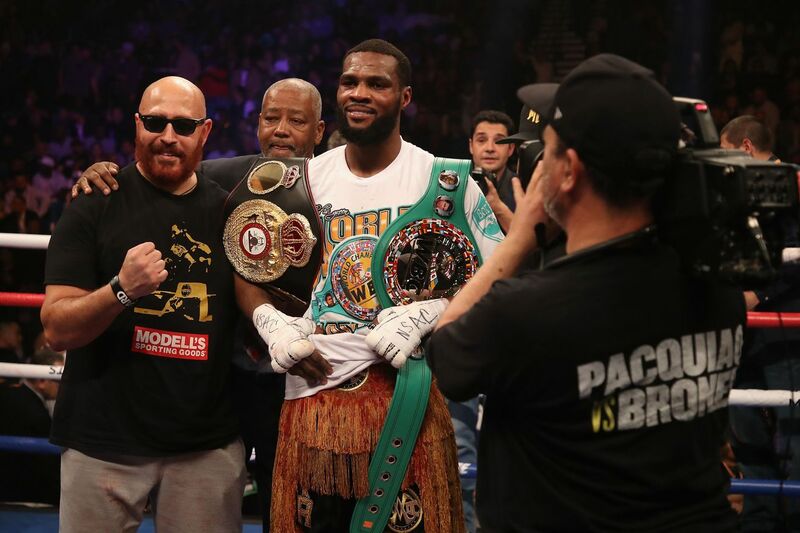 Marcus Browne announced his true arrival as a serious light heavyweight contender tonight in Las Vegas, dominating his fight with former titleholder Badou Jack and picking up easily the biggest win of his career. Judges had it 116-111, 117-110, and 119-108 for Browne. BLH had it 117-110 and 119-108 for Browne. Browne (23-0, 16 KO) did well from the get-go tonight, beating Jack (22-2-3, 13 KO) to the punch and looking like the bigger, stronger, hungrier fighter from the outset. The 35-year-old Jack just couldn’t get things going against the 28-year-old Browne, and youth was served. The seventh round was eventful, with Jack suffering a nasty gash in the middle of his forehead on an accidental clash of skulls. Jack bled profusely for the rest of the fight, his face turned into the proverbial crimson mask, and despite checks by the referee and doctor, he was allowed to continue, and bravely fought on through the end of the bout, often pawing at his face to wipe the pouring blood away. There’s no question that the blood in his eyes hurt Jack down the stretch, but he wasn’t winning the fight before that, either. Browne also lost a point in the seventh round for holding. After the bout, Browne, now the interim WBA titleholder, thanked Jack for the opportunity, and also called out WBC champion Oleksandr Gvozdyk. Browne landed 145 of 515 (28%) total punches, and 103 of 269 (38%) of his power punches. Jack landed just 66 of 303 (22%) total punches, and 58 of 187 (31%) power punches.